This piece from Delta brings a modern look to many kinds of bathroom styles. This classic single-control faucet is easy to match a lot of bathroom looks. This item's deck mounted design completes your bathroom with quick and easy set up. This WaterSense certified faucet uses less water but gives you the same clean every time. Show off your style with this beautiful piece from Delta. Redo the look of your bathroom with this beautiful single-control faucet. Make your sink look even more beautiful with this item's easy-to-install deck mounted design. This WaterSense certified faucet saves water and money, but gives you the same clean. Add a modern look to any bathroom with this piece from Delta. Make your bathroom look even fresher with this single-control faucet. Its deck mounted design makes it easy to set up and looks great with many sink types. This WaterSense certified faucet helps save water, money, and the environment. Cassidy Single Hole 1-Handle Low Arc Bathroom Faucet in Stainless Steel with Lever Handle This piece from Delta brings a modern look to many kinds of bathroom styles. This classic single-control faucet is easy to match a lot of bathroom looks. This item's deck mounted design completes your bathroom with quick and easy set up. This WaterSense certified faucet uses less water but gives you the same clean every time. 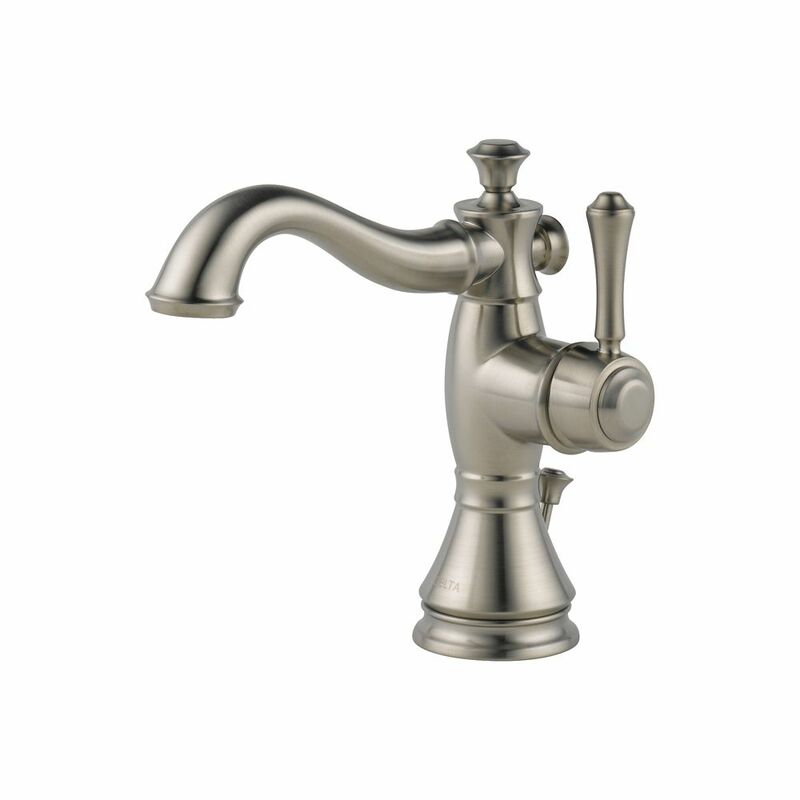 Cassidy Single Hole 1-Handle Low Arc Bathroom Faucet in Stainless Steel with Lever Handle is rated 4.8 out of 5 by 52. Rated 4 out of 5 by HomeDepotCustomer from Easy to install. Beautiful!... Easy to install. Beautiful! Rated 5 out of 5 by Linda from It looks so awesome. Even the plumber was impressed.... It looks so awesome. Even the plumber was impressed. The water flow is very strong. Rated 5 out of 5 by Anthony from Nice high quality product.... Nice high quality product. Rated 5 out of 5 by Gary from Seems to be good quality. ... Seems to be good quality. Rated 5 out of 5 by Drew from Appears very well constructed and gives our powder room an... Appears very well constructed and gives our powder room an updated and attractive looking faucet. Our plumber found it easy to install.